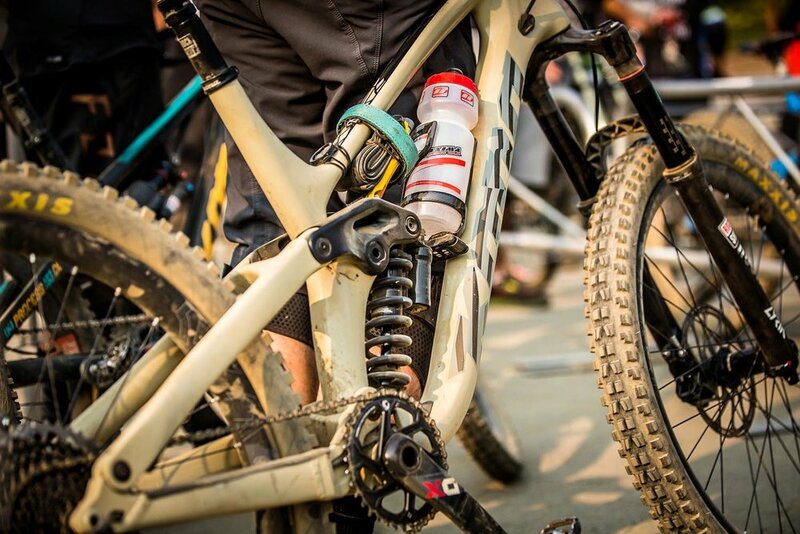 Two prototype carbon Process bikes are being ridden in the Whistler round of the EWS this weekend! Squamish based U21 ripper Rhys Verner, who came 3rd at Whistler last year in U21 and 4th in U21 in Finale is on one and the other is being ridden by a member of Kona’s product team and their chief product tester, Mark Alison. These shots prove that the rumours of a fully re-worked carbon Process were true – obvious changes are the new suspension linkage, narrower top tube and beefed up downtube but we will have to wait for the official release (hopefully sometime later this year) for more detailed info. Lets hope a few of these make it to NZ for next summer! !